In an effort to try and keep up with my backlog (at least a little), I've tasked myself with trying to play some titles this year as they come out. I figured I'd write a little about the best ones. Hopefully it both encourages me to dedicate some play-time each month, and allows me to discover some good games! This month there were two stand-outs for me. Teenagers drinking on an empty, haunted, island, what could possibly go wrong? 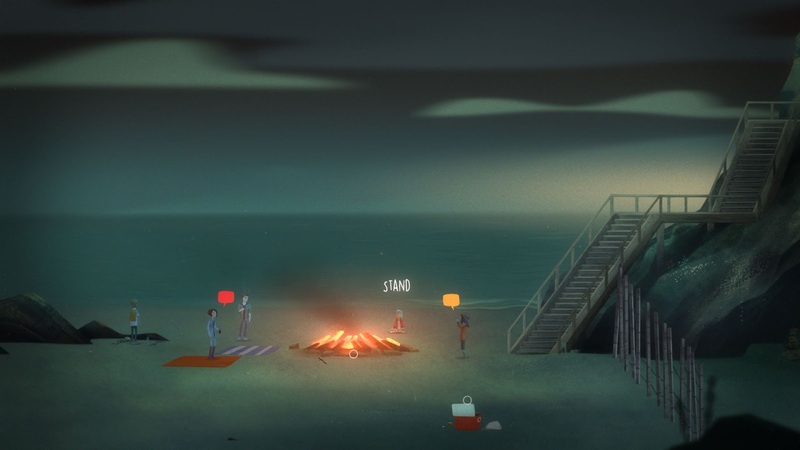 Oxenfree is an brilliant little indie adventure game by Night School Studio. It's crammed with some of the best writing we'll probably see in a game this year. This is mainly because it treats it's teenage protagonists as real characters instead of boring stereotypes. It feels right. If the teenage dialog in last year's Life is Strange strayed into the cringe worthy on occasion, here they hit almost all their marks. Coupled with some top notch voice work it affords the whole affair an engaging set of characters that help pull you in. The story trades on the tropes of teenage horror movies, but manages to be just about original enough to get away with it. You play as Alex, a teenage girl bringing her new stepbrother Jonas to an overnight party on a largely abandoned island. Needless to say, things soon take a turn for the spooky, and there are mysterious forces at play. It's creepy and well paced, with the tension and mystery building up nicely over the four to five hours it will take you to play through. The art style works as well, and manages to capture the atmosphere perfectly, in particular as things get stranger and stranger. Ultimately though it was the characters and writing that truly held the whole thing together. I thoroughly enjoyed my play-through. Then we have a game that triggered all kinds of nostalgia for me. 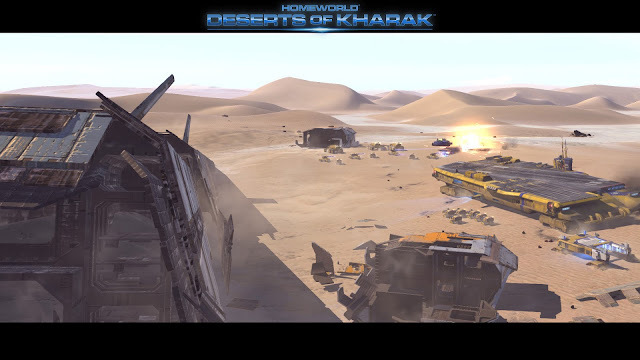 Homeworld: Deserts of Kharak is a spiritual successor, and prequel to the old RTS games Homeworld, and Homeworld 2. The IP rights to Homeworld were acquired by Gearbox in the aftermath of THQ's demise, and they allowed this new game by Blackbird Interactive (made up of ex-Relic devs) to carry the Homeworld name. Honestly the greatest thing that the game achieves is that it feels like a Homeworld game, and it's not even set in space! Despite the desert setting the format remains faithful to my memory of the originals. You have great big, hulking command craft, smaller support vessels, and then squads of individual tanks and vehicles that scoot about quickly to react to your enemy. It still feels like naval combat. 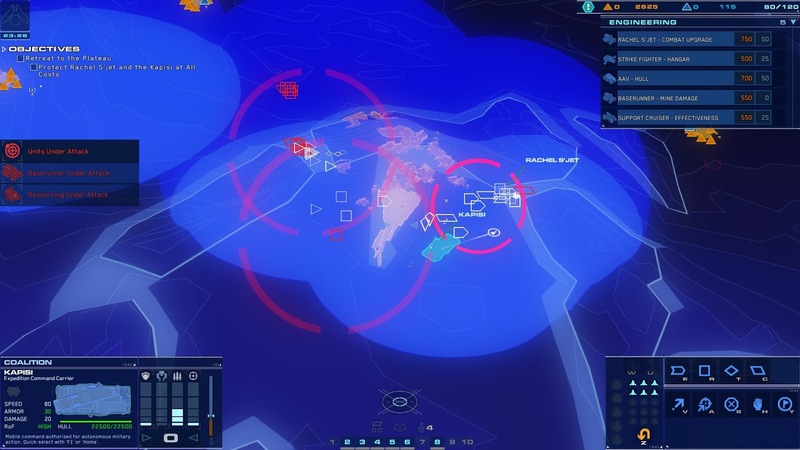 You can easily get your units trapped out of position, and while the tactics are largely 'rock, paper' scissors' style choices of which units to run into which enemy units, it is the strategic planning of where things are headed that tends to decide the outcome of engagements. It flexes long dormant RTS muscles, that were once commonplace when the genre was the darling of PC gaming. Now that's a faded memory, and games like this serve to remind me what we have missed. It has an actual campaign, that tells a story (No, 'multiplayer only' shenanigans here! ), and pretty much feels like a game that probably should have come out a decade ago. It feels like it has a place in the modern gaming space however, and the graphics help cement that. If I had a minor gripe it's that I tended to spend a lot of time in the strategic scanning view (which minimizes everything to squares, triangles and lines), and then the impact of the pretty desert graphics are entirely lost. Bye, bye, pretty desert views. Hello, functional strategic map. It might be that those RTS muscles were rusty, but the game was also a touch too hard in places, and I ended up playing on the easier difficulty levels mostly. That aside it's well paced and has a variety of units that allow for you to develop some different tactics over the course of the campaign. You soon learn that every unit is potentially important and as resources get tight, keeping your units alive becomes a priority. It takes a while to get back into that flow. Overall it's a fine addition to the series, and can carry the Homeworld name with pride. I'm going to hope that I'll be waxing lyrical about X-Com 2 in this space next month, but let's wait and see!